One of the healthier options for dips is hummus, a Middle Eastern dip. It provides you with protein and a number of essential vitamin and minerals, and while it can be high in fat, it is mostly heart-healthy unsaturated fat. Hummus is a paste of pureed chickpeas and eaten as a dip or spread. It’s a much better spread to use on bread. Used mint just for the flavour you can use basil, coriander or any herbs as a variation. Drain the water from chickpeas and wash it under clear water 2-3times to remove the sodium content. 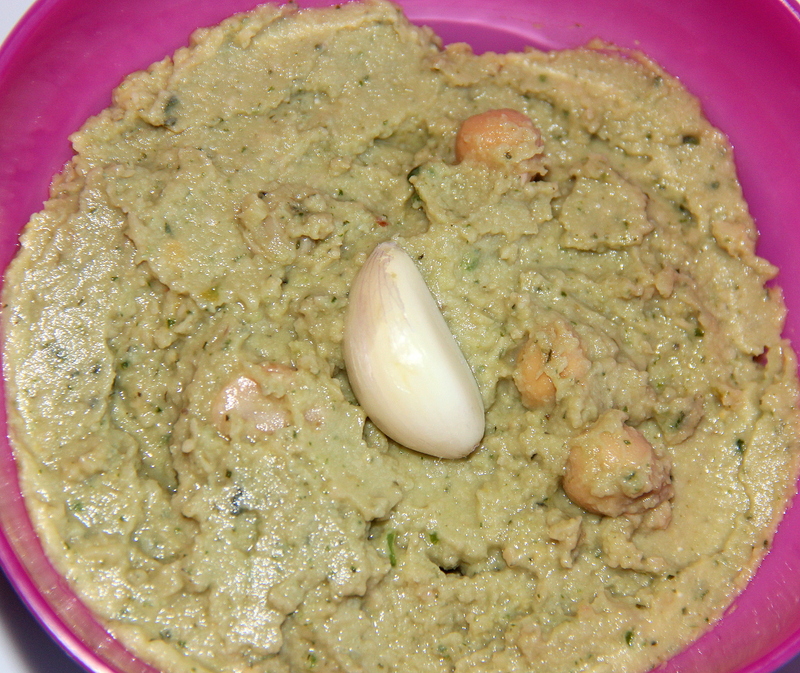 Combine chickpea, lemon juice, garlic, salt, mint, green chilli and blend to a creamy puree by adding 2-3tbsp water. Add more lemon juice and salt if required. Turn out into the bowl and drizzle with extra virgin olive oil. You can even use basil instead of mint. Use jalapenos in place of green chilli as a variation. Canned foods contain sodium so washing helps to removes sodium and safe to use. Posted on July 1, 2014, in Dips, Dips, Indian, International and tagged Chitras healthy kitchen, drchdietfood, Healthy hummus, Mint Hummus, quick dips. Bookmark the permalink. 11 Comments. I absolutely love hummus, but never thought of adding mint. We have plenty of fresh mint in the garden so I’ll be whipping up a batch of yours this week!